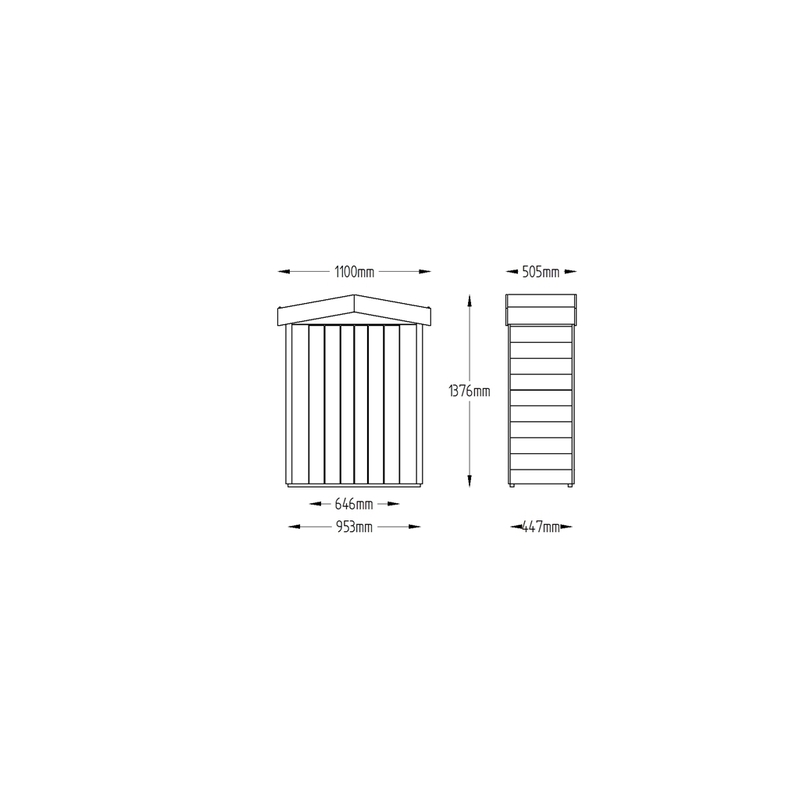 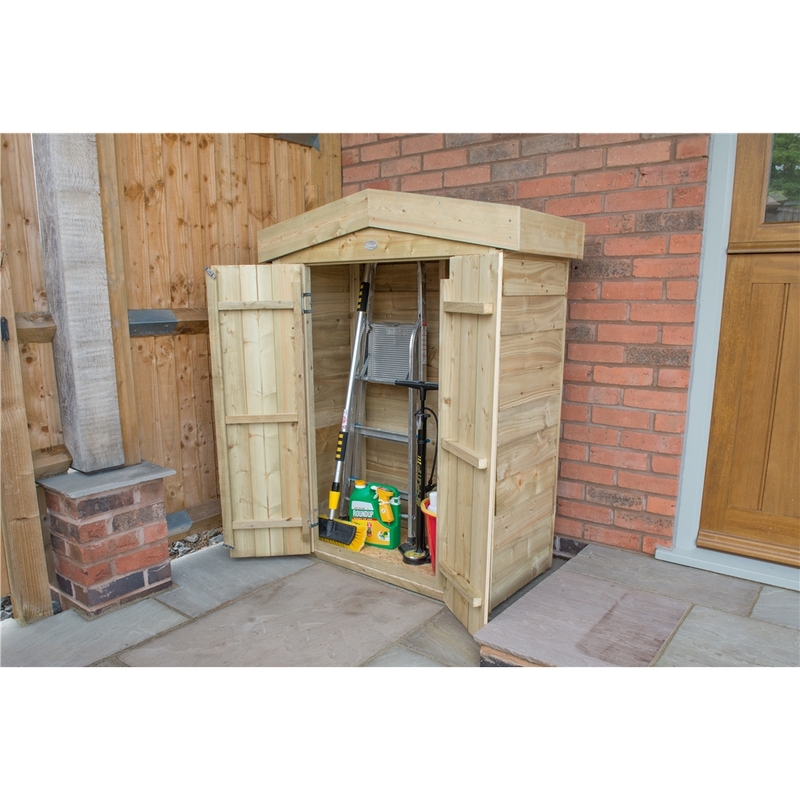 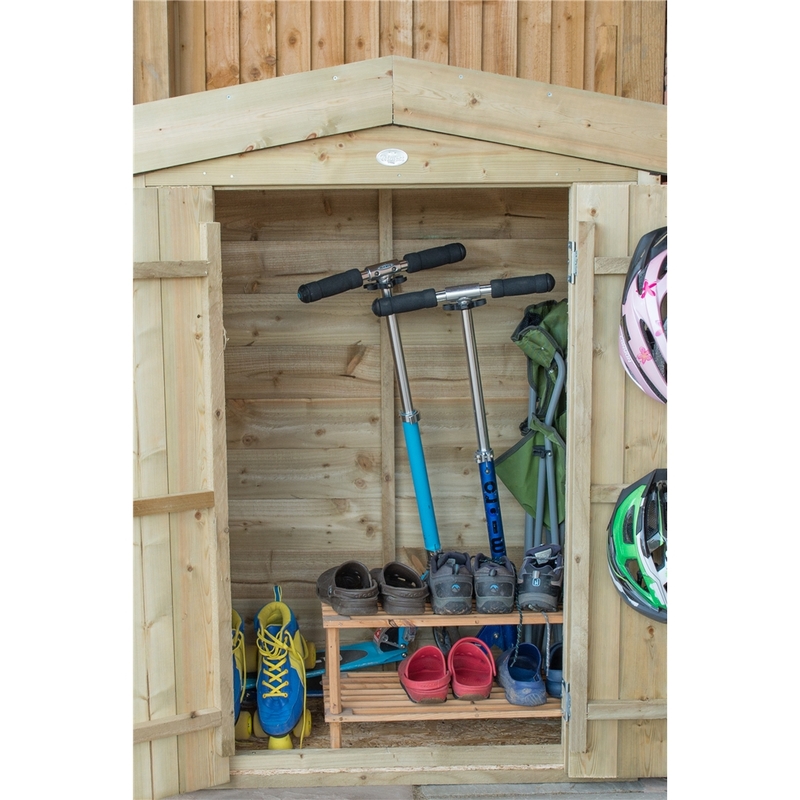 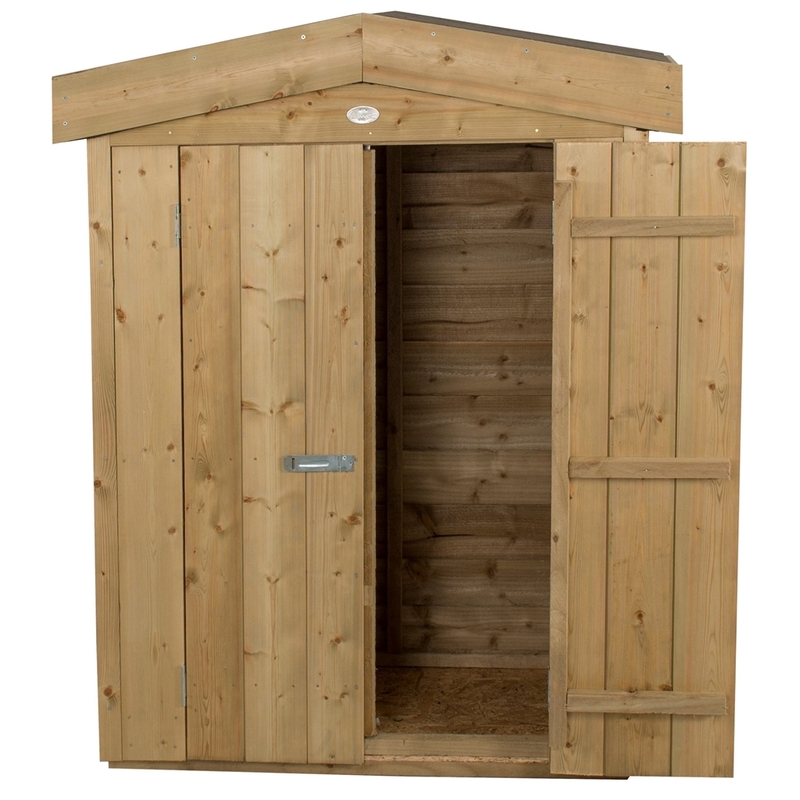 This Garden Store is a convenient and versatile storage unit that is perfect for outdoor areas where space is limited. 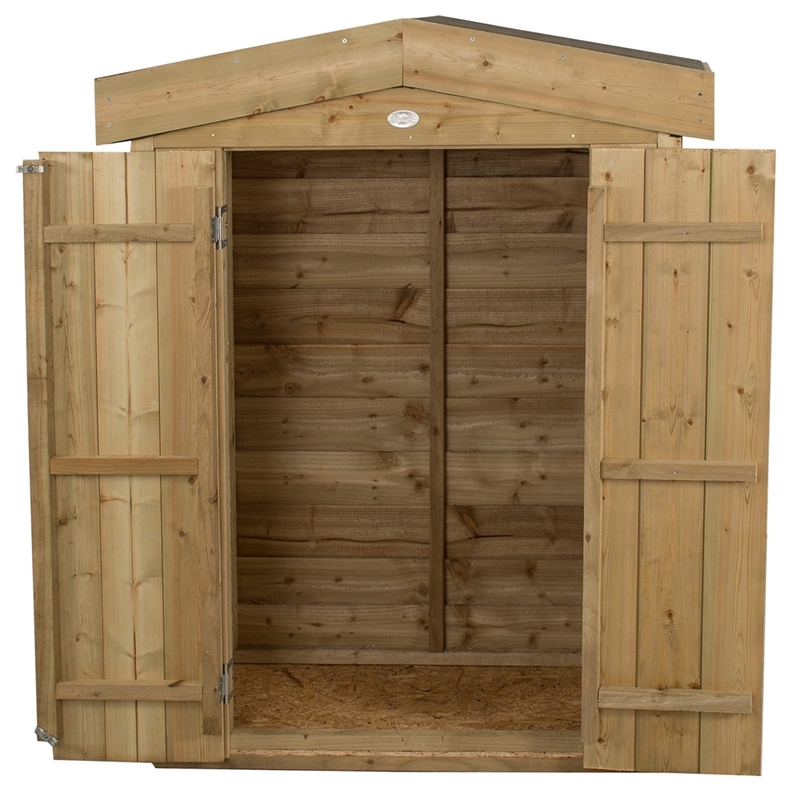 With its relatively compact footprint this store can be sited near a back door or will look great on a patio. 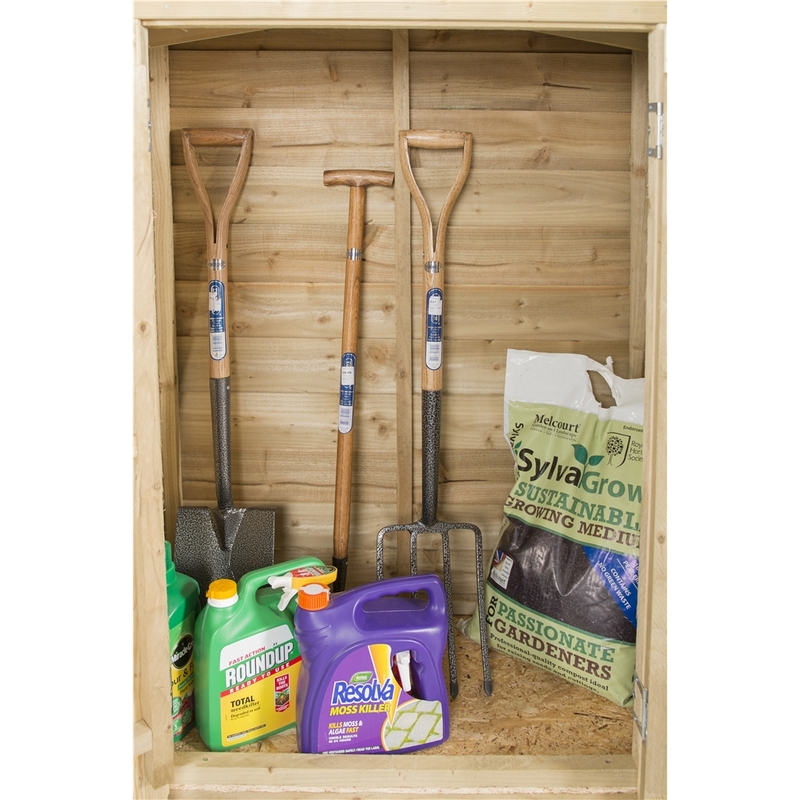 Perfect for tidying away garden clutter, its height means it is ideal for forks, spades and brooms. 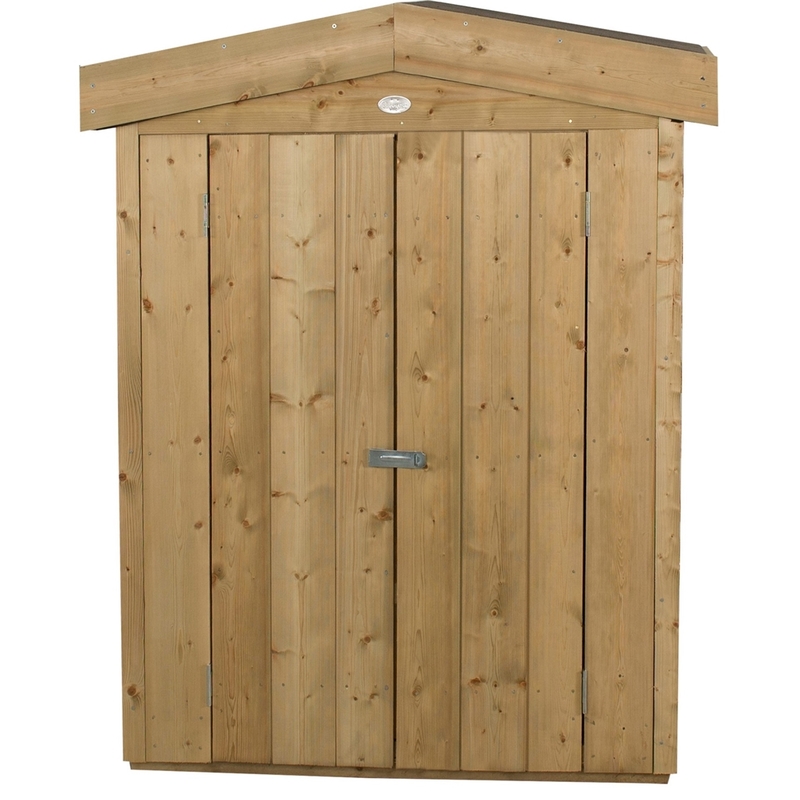 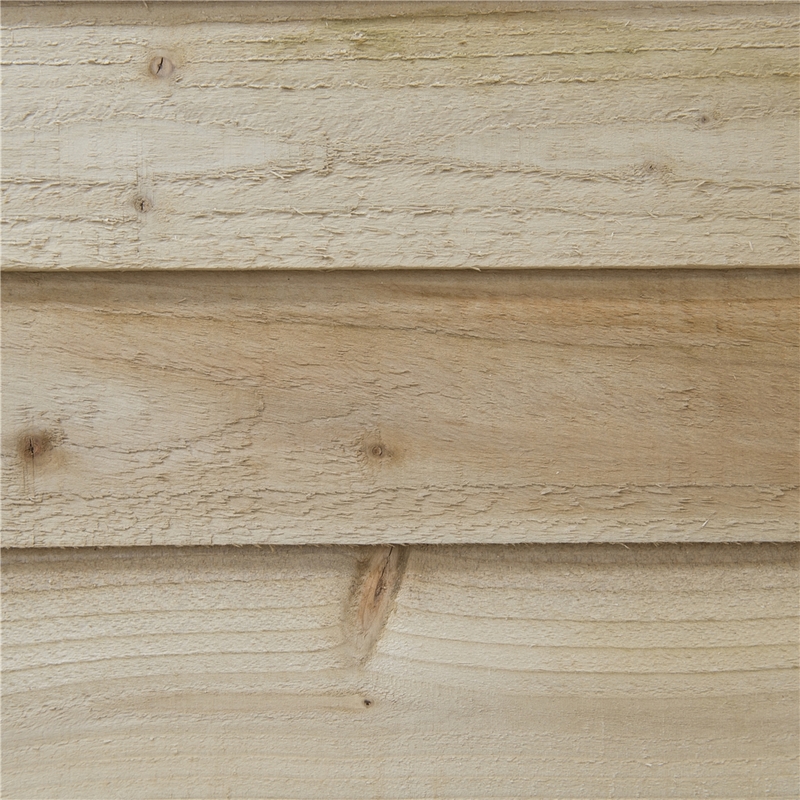 The traditional design features overlap Pressure Treated timber boards and Shiplap Tongue & Groove front panels with double doors. 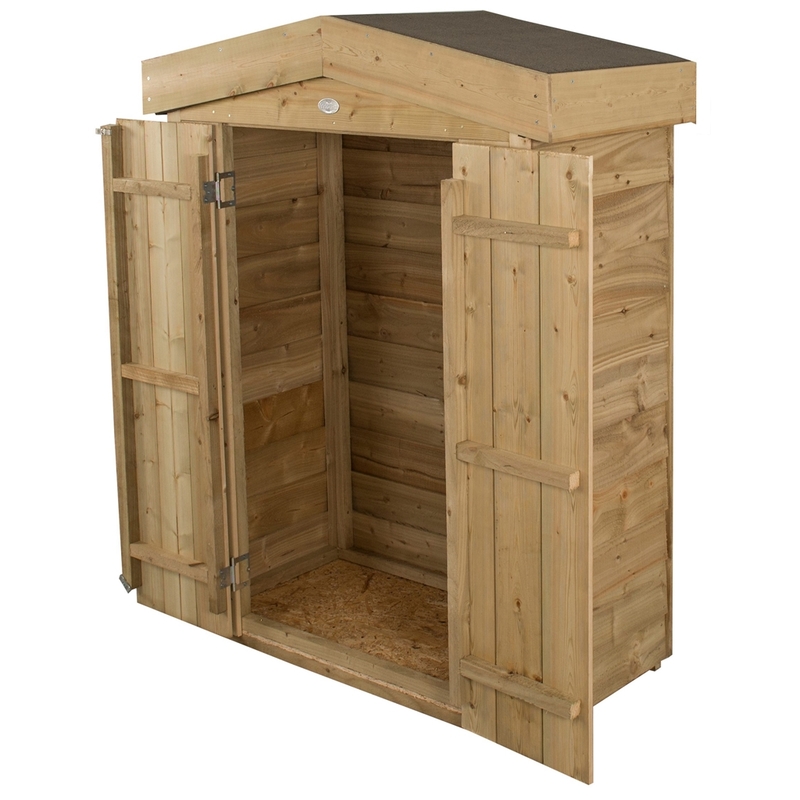 The felted roof keeps the unit weatherproof and the front is finished with smooth-planed barge boards. 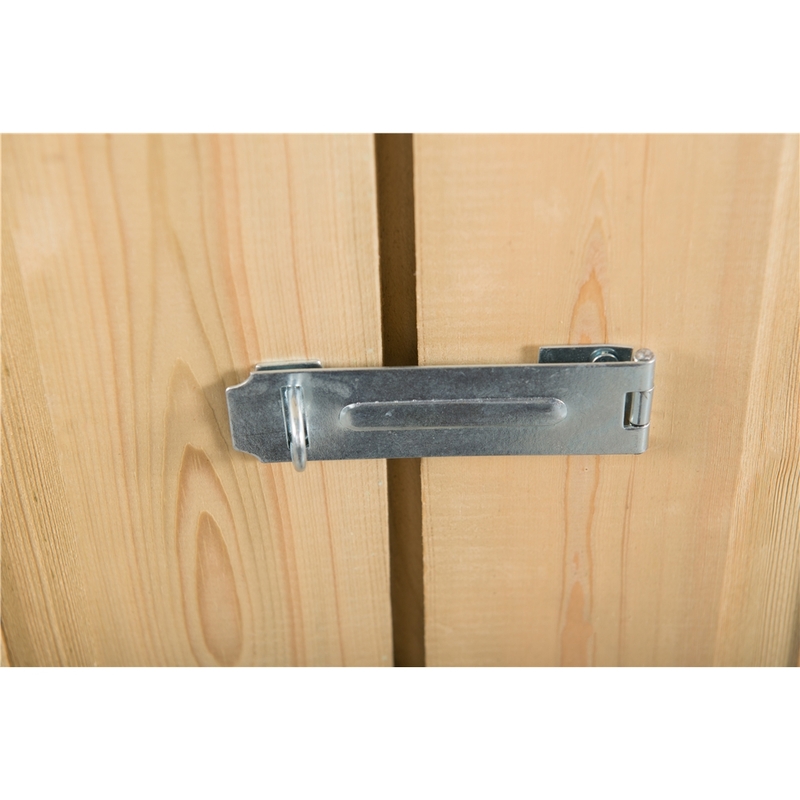 The plate hasp and staple latch allows the contents of the 600 litre capacity store to be kept secure with the additional use of a padlock. 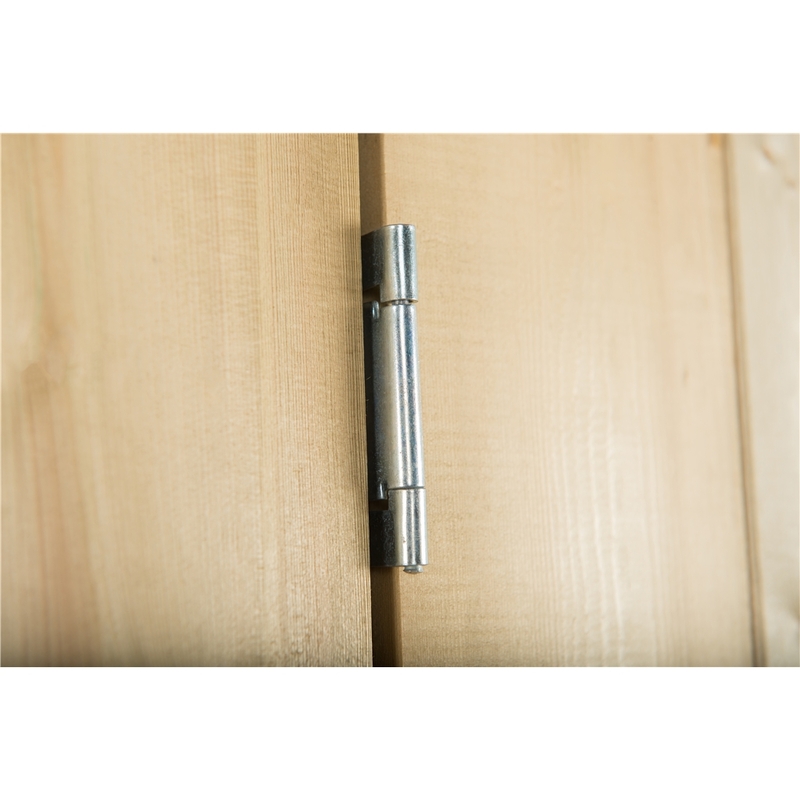 Hidden door hinges also provide additional security.